You are not alone! Find CARE and WELCOMING here. We are starting a new ministry for the Separated and Divorced. Please join us. When a person loses a spouse, friends send flowers, bring food, pay visits and make phone calls to lift the spirits of the surviving spouse. 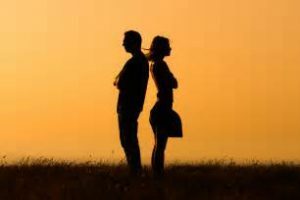 When a couple divorces, little support is available. Divorce causes confusion, frustration, fear, anger, depression and other emotions that must to be dealt with. Our Mother of Confidence’s Separated and Divorced Ministry will be conducting weekly meetings in a group setting for separated and divorced people; those struggling with issues of anxiety, anger, guilt, regret, abandonment, isolation and sadness. Our goal is healing, forgiveness, acceptance and rebuilding – we want you to know you are not alone! These meetings will start on January 6th 2018, all are welcome.